At Provincial Heating & Cooling Inc, we specialize in improving the quality and cost of your summer comfort. Through a selection of premier products, sized to match your exact requirements and installed properly, we protect the long-term enjoyment, health, budget, and safety of your home. Whether you’re investing in new, or upgrading an outdated cooling system, we help you with the choices and services that add up to year after year of total satisfaction. A system tailored to your specifications will meet your household demand for consistent temperature control, noise level, and energy efficiency. And when every detail is handled proficiently and conscientiously, you’re going to benefit from reliable operation, lower monthly costs, and extended service life. Contact Provincial Heating & Cooling Inc for air conditioning and AC installation, and we’ll make sure you’re completely happy with the results. As the only Carrier Factory Authorized Dealer in Manitoba, only Provincial Heating & Cooling Inc meets Carrier’s high standards for sound business practices, customer service, and advanced technical training. Our NATE-certified technicians receive regular industry updates, keeping on top of product developments, and enabling us to recommend and implement the ideal system for your needs. We offer free estimates, financing options, and take the time to consider every important factor that impacts the cooling demands of your home. For both new AC installation and replacement, the system needs to match your current requirements, as well as anticipate expected changes, such as remodeling projects and energy conservation steps. By never cutting a corner, or overlooking essential details, we deliver comfort that satisfies, season after season. Get trusted, accurate air conditioning installations from Provincial Heating & Cooling Inc! Our Factory Authorization uniquely qualifies Provincial Heating & Cooling Inc to offer our customers the most recognized and respected cooling systems on the market today. Industry-leading, Carrier brand air conditioners combine functionality and luxury, giving you both greater efficiency and control. From budget-friendly options, to intelligent, communicating systems, every model in the Comfort, Performance, and Infinity Series represents unprecedented value for your investment. With features such as zoning, WiFi compatibility, energy tracking, maintenance alerts, and adaptable-speed technology, you can enhance every facet of your comfort, from utility bills to access. 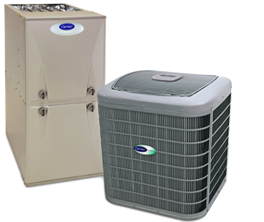 Provincial Heating & Cooling Inc offers perfect solutions to every type of challenge. Contact us at (204) 339-4328 and ask about special deals and promotions.